$350 Nightly. Pets welcome! Fenced yard! $175 Nightly.Pets welcome! Cute cottage! Pet-Friendly Mid-century modern ground level beach home, large fully-fenced back yard with Tybee tiki hut for your enjoyment! Awesome views of Back River sunsets! 1.5 blocks to Alley 3 kayak, paddleboard launch site, AJ's Restaurant. Easy walk to beach. $195 Nightly. Pets welcome! Great decor! 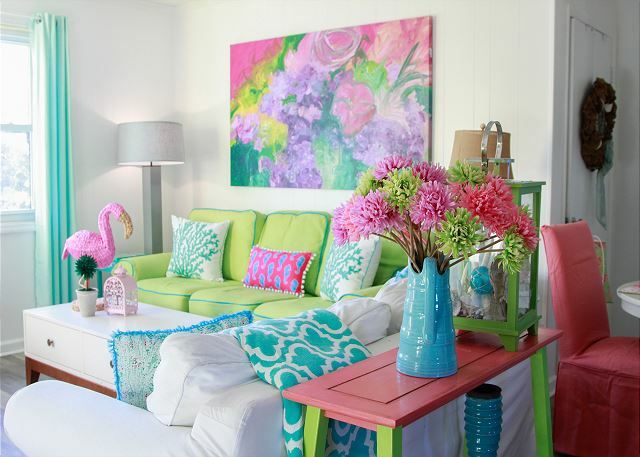 Bright and Cheerful and full of fun! 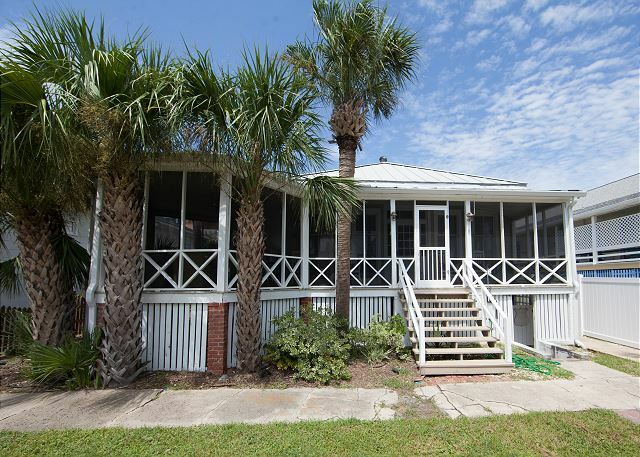 Coastal Joy is a 2 bedroom second story duplex on south end of Tybee. Close to beach and completely newly renovated with lots of color and personality! Brand new deck as of March 2019! $160 Nightly. Pets welcome! Marshfront! $350 Nightly. 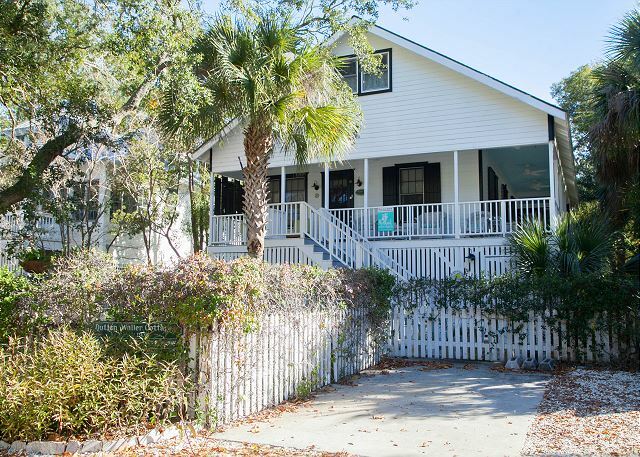 Historic Tybee Cottage! Historic Tybee raised Cottage. Beautifully restored. Back River District. Large wraparound porch. Pet-Friendly! Easy walk to AJ's, Alley 3 Kayak Launch & Back River Fishing Pier. Fenced yard. Full of local art! $450 Nightly. Quick walk to beach! Partial Beach View. Large wrap around screened porch. 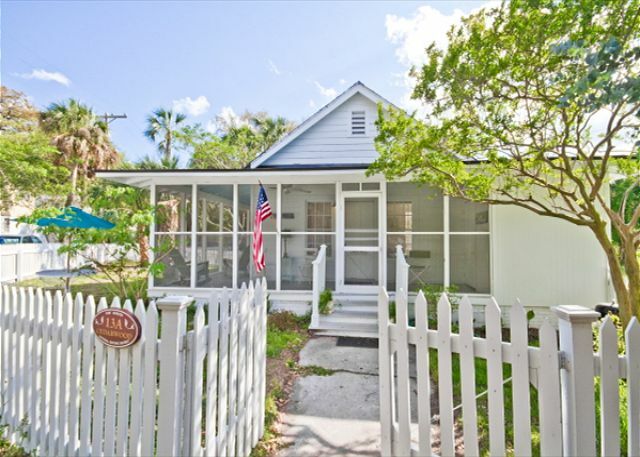 Beautiful, historic beach cottage located on beach side of Butler Avenue! No roads to cross to the beach! 4 bedroom/2 full baths! WIFI Simple, elegant, cozy, nostalgic. $175 Nightly.Pets, porches & lighthouse! $195 Nightly. Pets welcome! Fenced yard! $195 Nightly.Pets! Great outdoor shower! Fish Tales is Ground level! Pet-Friendly! 3 Bedrooms with Queen beds in each, brand new renovation and furnishings! Just blocks from the beach; waiting for you to book your summer vacation!!! Call now!